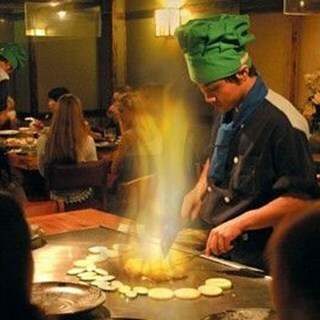 Teppan-yaki fun dining gives you an unforgettable time day and night with Taste of Japan. Also, don't forget our famous "Yum-Yum sauce" and "Chop-Chop fried rice". Those yum yum prawns are amazing. Thank you for making our daughters birthday special. As a return customer is there something new the chefs could add to the routine? 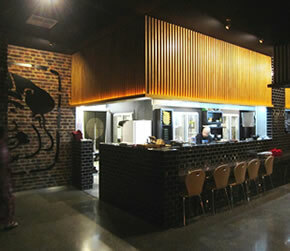 Thanks for being one of our favourite restaurants. 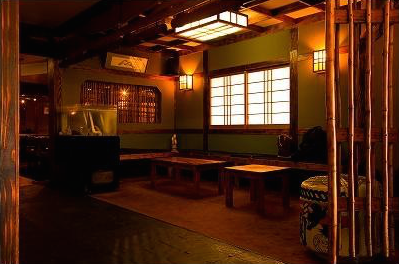 The setting and atmosphere of the restaurant was inviting and made me look forward to my meal especially with a very hungry tummy. However my husband and I were utterly disappointed with the teppanyaki steak set meal we ordered. It was bland, tasteless and lacked any seasonings. Don't get me wrong,the meat was fresh and it was a good cut of a scotch fillet, however the chef fared poorly in executing the steak. There wasn't enough butter, no chopped garlic, salt and pepper used to cook it properly. Few diners including us had to request for soya sauce for our meat because it was so bland. 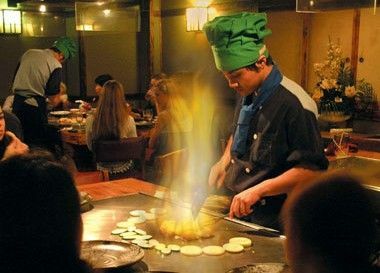 The above are basic essential ingredients for a teppanyaki dining experience and sadly it was not like what we expected as what we had experienced in Kobe,Japan. Would highly suggest management to review and reconsider the preparation and cooking method because the fancy performance of the chef alone is not able to mask the unflavourful meals that are served to customers. Great team night out. Enjoyed the food, drink and great entertainment! The overall dining experience was very good. The chef attending our table showed adequate showmanship. The waiting staff was polite and prompt. The only minor thing was that they did not have enough stock of a particular beer from their menu. The overall service of the restaurant was excellent however, I personally feel that the quantity of the food did not match the price we paid. Furthermore, we were told that the desert was half priced for tempura ice cream and complimentary for the standard ones (Chcolate, Green Tea). Just fabulous. Very polite staff. Outstanding service. Great entertainment. I have been visiting Daikoku on Quay for over 20 years and always walk out smiling. Fantastic Food..but unfortunately the chef was very quiet and not engaging at all..maybe new..That said while the food was amazing they are also selling an "Experience" and need to be mindful of this and make sure chef's are up to speed before letting them loose on paying customers..I have had some Great "Experiences" here in the past and fantastic engaging chef's..we were a party of 8 and I had talked it up so was a little let down. Enjoyed every minute. A great time, with great food and entertainment. Service was brilliant too. That yum yum sauce is to die for! Excellent service and delivery. The only downfall is the parking. We understand that this is beyond your control though, so do not fault daikoku for this, it is the fault of the Auckland city council.We love Daikoku. My date was asked what food she wanted and what drink. I was not asked if I wanted a drink. I had to call the waiter back to place my order. I was not impressed by the lack of service to me. It was weird. Shef was really good, atmosphere great as usual! Great atmosphere, very entertaining for our son. Definitely value for money. We’ve been here a couple of times before and will be back again. Air conditioning is needed urgently. The restaurant was ridiculously hot and people were sweating. It was very unpleasant.